Note that next week’s budget and stories will be sent Tuesday, Nov. 20, to accommodate use over the Thanksgiving holiday. SNOWMOBILES – Snow is flying, and Michigan’s snowmobilers are gearing up to hit the trails. Pre-season trail permits are up 43 percent as northern Michigan businesses hope for a snowy season. By Kaley Fech. FOR GRAND RAPIDS BUSINESS JOURNAL, ST. IGNACE, MARQUETTE MINING JOURNAL, CADILLAC NEWS, BAY MILLS, CHEBOYGAN and ALL POINTS. JOBSTRAINING – A state bonding program that helps run a statewide jobs training program linking community colleges with local employers is in danger of running out by the end of the year. We talk to the president of the Michigan Community College Association, a vice president at Northwestern Michigan College and a vice president at Mid Michigan College in Harrison. Includes references to Clare, Petoskey, Lansing, Grand Rapids and more. By Nick Kipper. FOR TRAVERSE CITY, CLARE, GRAND RAPIDS BUSINESS, LANSING CITY PULSE, PETOSKEY AND ALL POINTS. GERRYMANDERING – Want to determine the future of Michigan’s representation in Congress? You have until June of 2020 to volunteer to serve on the state’s new redistricting commission that voters approved Nov. 6. Michigan officials are getting set to implement the new way of establishing legislative districts after the state was one of at least three states to approve proposals designed to halt gerrymandering that created an unfair advantage to some political parties. 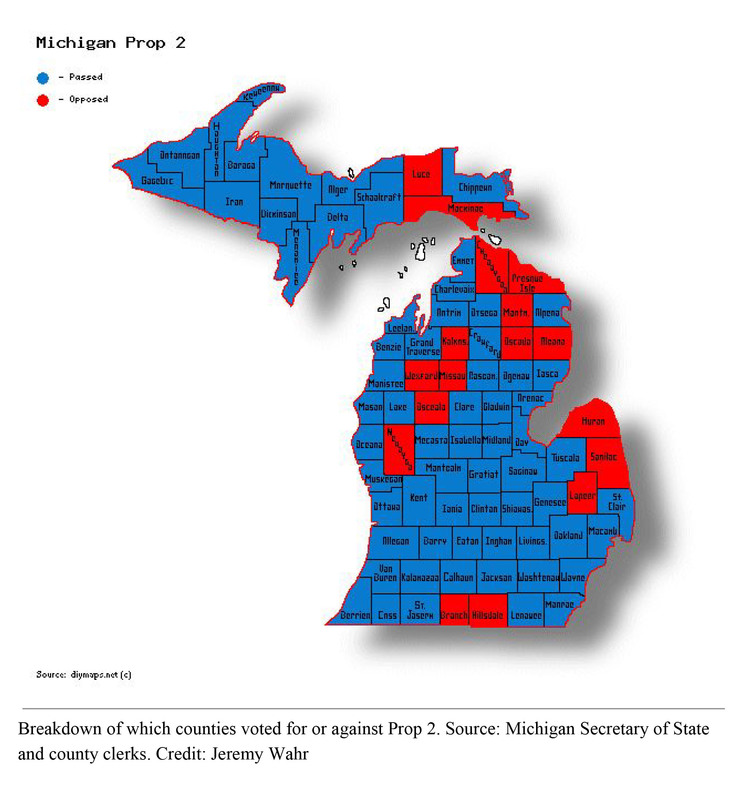 Only 17 Michigan counties voted against the proposal, including Alcona, Mackinac, Missaukee, Montmorency, Wexford, Newaygo, Luce and Cheboygan. . By Jeremy Wahr. FOR ALL POINTS. 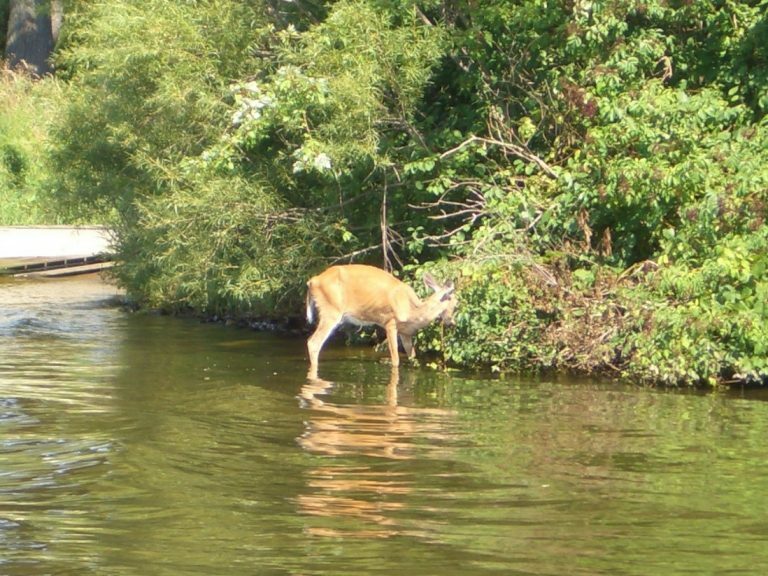 w/DeerPhoto: Protruding ribs and hipbones are signs that a deer has chronic wasting disease. 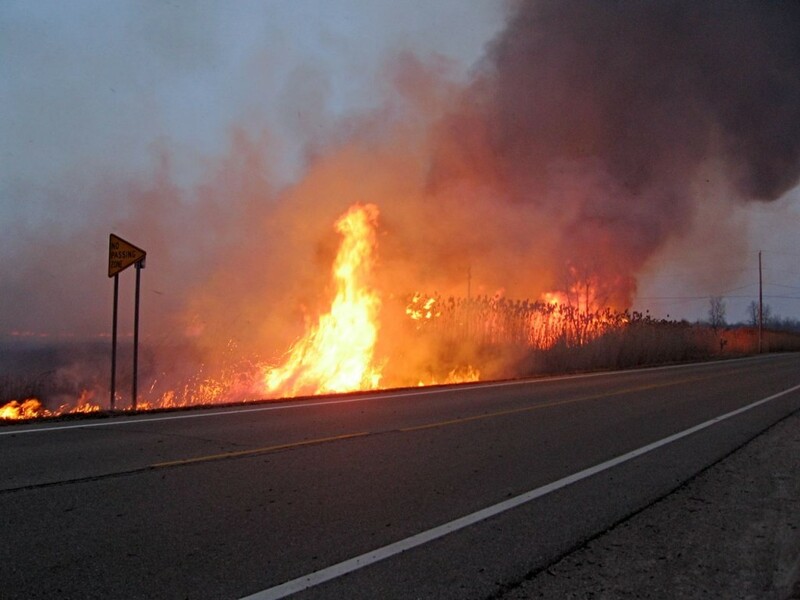 Credit: Wisconsin Department of Natural Resources. LANSING — Tired driving is as dangerous as drunken driving. “If a person who wakes up at 8 a.m. is driving at 2 a.m., they’re essentially driving with the same impairments as someone who is legally intoxicated,” said Kimberly Fenn, the director of Michigan State University’s Sleep and Learning Lab.